Cambodia’s vote in July is designed to confirm strongman Hun Sen. After quashing the opposition, he is geared up to extend his 33-year stint at the top. The result of Cambodia’s parliamentary elections on 29 July is already fixed. After dissolving popular oppositional Cambodia National Rescue Party (CNRP) in November 2017, Prime Minister Hun Sen only competes against supernumerary challengers which are too weak to create even an illusion of competition. Nevertheless, he is on the peak of his reign that, after all, has already been lasting since 1985. His success boils down to his almost uncontested monopolization of physical force, framed by submissive partners in both domestic politics and international relations. A former Khmer Rouge soldier, Hun Sen became head of government in the follow-up regime installed by Vietnam which occupied Cambodia in the 1980s. He contributed to ending the civil war in 1991 and thereby two decades of utmost violence. Although under UN sovereignty – the UNTAC mission endured from May 1992 until November 1993 – he had to grasp the nettle by accepting a liberal constitution and a defeat in general elections 1993, Hun Sen remained Cambodia’s political hegemon. As he has never accepted rivals or challengers who refused to subordinate, intimidation, threats, and even murder were effective tools in his political tool kit. Approximately about 200 people fell victim to his will to power between 1997 – beginning with an assault of an opposition rally and a bloody coup d’état against his royalist coalition partner FUNCINPEC – and the post-election process in 1998 when demonstrations against Hun Sen were violently broke up by security forces. Afterwards, his dominance was widely consolidated in a façade democracy. In 2013, his ruling Cambodian People’s Party (CPP) only narrowly beat the CNRP in unfair elections. After the opposition won more than 43 percent of the popular vote in commune elections in June 2017, its fate was sealed. While dissolving the most popular opposition party would trigger a national crisis in many other states, Hun Sen remains unchallenged after he got rid of the CNRP. Most opposition politicians have escaped abroad and are calling on a voter boycott of the elections, meaning voter turnout is the only result of interest in the July ballot. Within his own party, Hun Sen has long marginalized all potential rivals and has installed his close associates in the top ranks of Cambodia’s security forces. His regime has eradicated independent media and is increasingly exerting control on the internet and social media. To summarize, it is widely taken for granted that Hun Sen is able to rule as long as he wants or as long as his health allows. Admittedly, force is not the only reason for his dominance. Economic growth, in particular an annual expansion of around seven percent this decade, has capped potential dissatisfaction amongst the regime’s followers and supporters. Some 13.5 percent of the population was in poverty in 2014, compared to almost half the population in 2007, according to the World Bank. However, while the regime uses the economic development as main pillar for its overall legitimacy, most Cambodians are not part of the ruling CPP’s patronage network and hardly benefit from the economic rebound. Infrastructure including education and health care are still considerably underdeveloped compared to most regional neighbors. As described by the Bertelsmann Transformation Index 2018, red tape and nepotism prevail while Cambodia remains the most corrupt country in Southeast Asia according to corruption watchdog Transparency International. These conditions contributed to the rise of the opposition CNRP as the regime has, so far, been completely unwilling to transform its governance style. Instead of protesting the growing social imbalance and the inefficient public sector, for years Cambodians have been migrating in increasing numbers. This trend has left many unable to find regular work abroad, putting Cambodians at the greatest risk among all Southeast Asians of becoming victims of human trafficking, according to the 2016 Global Slavery Index. 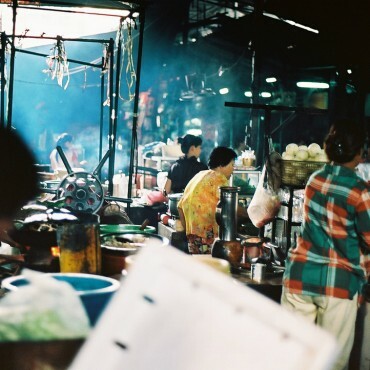 In effect a population exchange has taken place, as initially Vietnamese and recently more and more Chinese citizens resettle in Cambodia, at least with the goodwill of the Hun Sen government. Many prominent opposition politicians and civil society leaders are among those who have left Cambodia since 2015. This has left the country without liberal resistance and makes it easier to understand why the former opposition – which transformed into the Cambodia National Rescue Party (CNRM), rather a loose organization than a party in exile – urges a boycott of the upcoming ballot. In June, CNRM leader Sam Rainsy even called for a popular uprising after the national elections to force a change of government. It appears to be an appeal from an ivory tower: There is neither opposition to Hun Sen within his own ranks, nor is there any other potential driving force to initiate such a rebellion. Meanwhile, a combination of fear, fatalism, resignation and indifference prevail among the people, making rebellion virtually impossible. 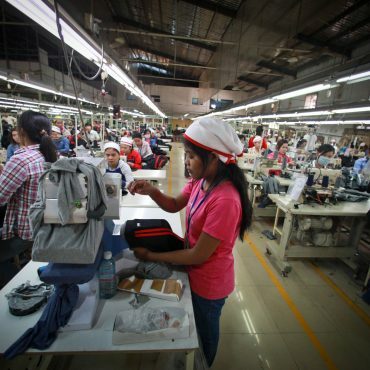 In the past, Sam Rainsy often called for international sanctions from the European Union and the United States, the two leading markets for Cambodia’s apparel industry which generated 80 percent of all national exports last year. With the exception of some rather symbolic measures, this has not yet happened. Rainsy surely knows that foreign pressure would only reach a level powerful enough to rattle the regime if Hun Sen violently quashed a rebellion, incurring a significant number of fatalities. It is a cynical game to play as Sam Rainsy is not willing to sacrifice his own life. The fact that there is no regime change in sight is also due to two-decades of international support for Hun Sen. Whereas he heavily depended on western aid in the 1990s, the People’s Republic of China has now taken over the tutelage for Cambodia. Currently, there is no other country in the world that receives more Chinese financial support than Cambodia. 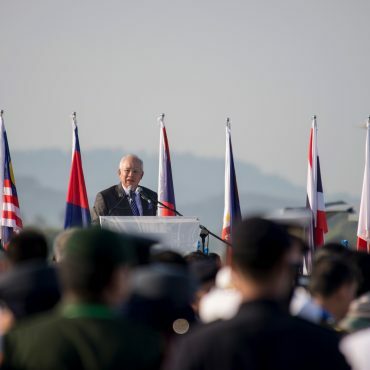 The extent of bilateral assistance, investments and political collaboration on the international stage is so immense that the relationship could fairly be described as neo-colonial. In the light of this liaison, Hun Sen could even remain unharmed if the EU and the U.S. ended preferential access of Cambodian garments to their markets. Amid decreasing western influence and the dissolution of the CNRP, Hun Sen has everything under control again. Upcoming parliamentary elections will not impact this status – and any party that evolves, by accident, into a relevant competitor to Hun Sen’s CPP may bitterly regret it. Dr. Markus Karbaum is a political scientist and an independent consultant specializing in Cambodian politics. The article was first published in the South China Morning Post.